With this volume, Chuck Dixon and Dan Jurgens take the reigns from Geoff Johns. It’s a smooth transition that maintains a consistent tone and voice—given that Jurgens created the character, that makes sense. My favorite part of the trade is Dixon’s two-issue story that, like Back to the Future, sees Booster visiting and revisiting the same night to set things right without letting himself notice. Near the end of the arc, Michelle gets the opportunity to step out of her brother’s shadow as a character and have some autonomy, and I really enjoyed that moment as well. 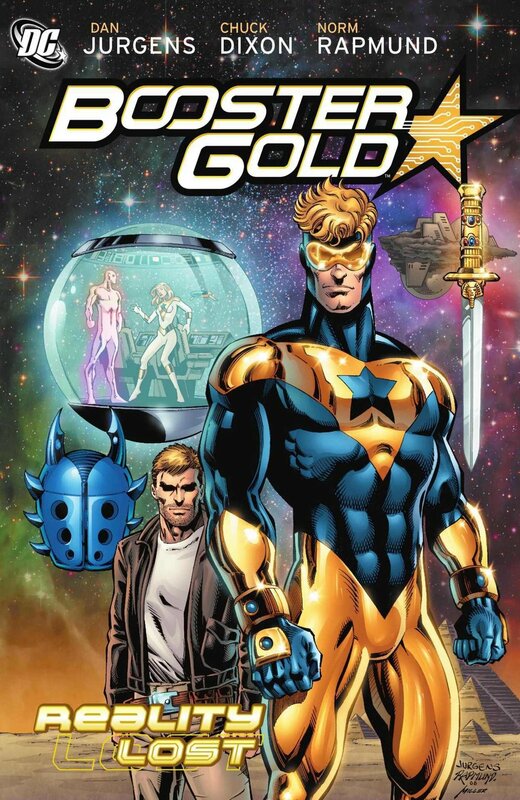 Jugens, Rapmund, and Hi-Fi’s art looks great; having Booster Gold’s creator on the book’s pencils is always a perfect fit. Despite the creative team shift, I’d still recommend going back to the beginning of Johns’s run, since this arc builds on it.